Now that the New Year bell has rung and we have moved closer to the 2019 season, this post in our winter tying sessions we will look forward to the milder days of spring and summer. 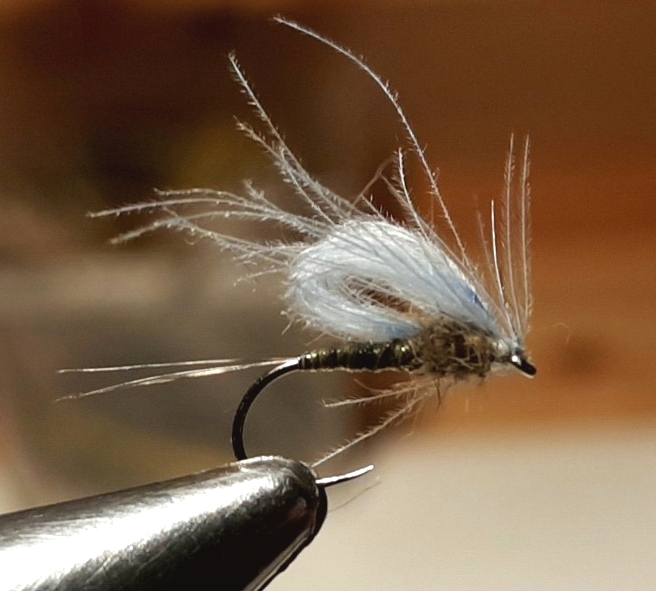 After spending the early winter focusing on nymphs, it is a nice break to move away from the tungsten beads and lead work for some CDC and light wire hooks to tie some dry flies. I have a versatile set of drys that I have been using over the last number of years and they manage to cover all my bases when it comes to catching rising fish. 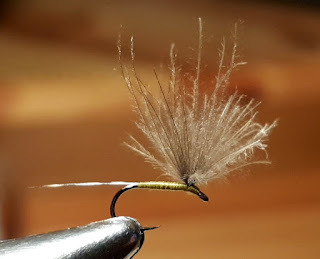 Again the same as my nymph tying I prefer the simpler patterns that are effective and catch fish when I need them to. I have a couple of simple components that I focus on when I am tying a dry fly and ones that you should keep in mind when you are thinking of filling that dry box for the coming season. 1. 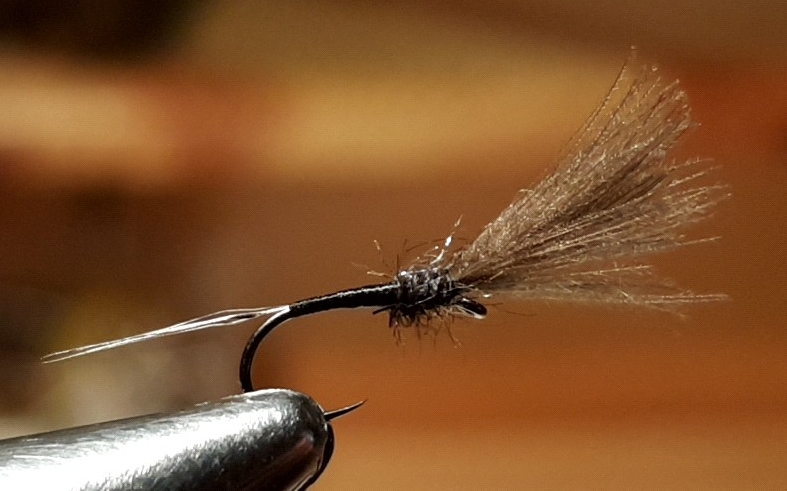 Its got to float- now I know most dry's float; that is the objective of tying a dry in the first place, but I am talking about tying dries that will stay up longer and don't need 5 minuets of drying, treatment after a fish or when they get submerged. So how do we achieve this? 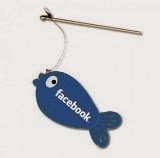 By using quality CDC, be conscious when you are tying of the weight you add to the dressing by the threads ect you use. Finally coat the fly in a water proffer before you fish it can make that dry sit up a hell of a lot longer. 2. You got to see it- for me I like fishing small dries so when I tie them I am always thinking of can I see it and what can I do to help me see it better without overpowering the fly with colour products or flashlights. This is really important when you are tying klink's ect for dry dropper; for this method of catching fish one of the most common problems anglers have is not being able to see the dry. Being able to see even the smaller dries will help detecting the suttle takes. 3. Simple patterns and tie lots of them- when I am stocking the dry box I will tie up to and more that 20 of each dry. They are simple fly's and quick to tie, so when I am fishing after a few fish or some time on the water I will change the fly regularly; the same pattern but put up a new one. They are easy to tie and a fresh dry make fishing more enjoyable at times rather than squinting your eyes and not being sure if that rise was for you or not. So that being said here is three dries that have to be in my box for 2019 and in quantities as they will get a lot of time on the water. Wing: Pale blue CDC, Tie in the tips and loop back over to create the wing. Dubbing: Pinch of Hare's Ear (this gets tied in before you loop over the CDC). Wing: Natural CDC pinch of half the CDC feather and tie in the center then double over the fibers. Make sure the fibers are up right. Remember to keep the bodies light and slim, use light wire hook like the Dohiku 301 to help the fly be effective longer. Most light and small dries wont last a couple of seasons and as we all know a dry that you use in an evening rise for trout probably wont last the full session, so tie the quick and easy and have plenty of them in your box. For some good klink's for the dry dropper fishing check out this blog post https://peterdriver.blogspot.com/2018/03/fishing-dry-dropper-dry-that-catches.html. For our next winter tying session I will look at some beaded wets that will be crucial for catching spring trout when they start to move about.